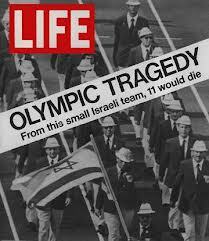 The truth about the killing of the nine Israeli athletes who were taken hostage by Fatah’s Black September terrorists after they had killed one is as summarised in Chapter 8 of Volume Three of the American edition of my book Zionism: The Real Enemy of the Jews, which is subtitled Conflict Without End? Here now is that summary which contains some context and runs to two and a half book pages. Prevented from directing Palestinian anger and bitterness away from violence and into positive political action in partnership with Jordan, Arafat and Khalad Hassan and their mainstream PLO leadership colleagues lost control of events to those in the rank and file of their liberation movement who favoured the terror option, including a growing number of Fatah’s own supporters – the Black Septemberists for whom use of the terror weapon was a new experience. Previous post: Where is Palestine’s Mandela?